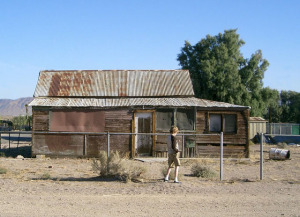 The town was originally founded in 1883 just after the discovery of silver in the mines near Calico to the north. In 1882, the Southern Pacific Railroad with the Atlantic & Pacific Railroad (Later Atchison, Topeka & Santa Fe) from Mojave was being completed in the area and it was thought that a good name for the town would be Calico Junction. But this name would be too confusing since it was right next to Calico, where the silver was uncovered. It was decided to name the city after then Lieutenant Governor of California, John Daggett, during the Spring of 1883. 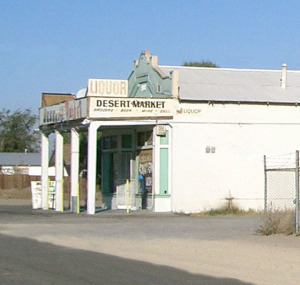 There were plans to make Daggett the main station of the area and to have a railyard there to handle the heavy trains coming from the East, but due to the silver mining making the prices of land go too high, the ATSF moved on up to Barstow and established the main rail station there. 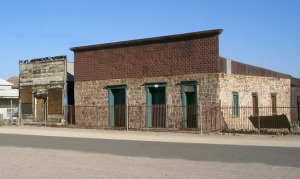 In 1903, the San Pedro, Los Angeles & Salt Lake Railroad (later Union Pacific Railroad) also built their line from Las Vegas through Daggett to reach Los Angeles, California and East San Pedro by borrowing trackage of the ATSF through to Barstow to allow the servicing of their engines at the roundhouse located there. 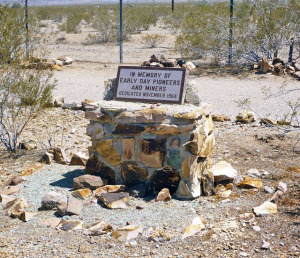 For two years, it was the terminal of the twenty-mule team run from Death Valley, but after one of their swampers, William Pitt was lynched, the Pacific Borax Company made the terminal in Mojave. 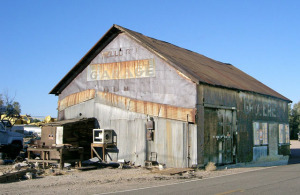 And later on in 1891, Francis Marion Smith the 'Borax King' moved down to Daggett from Death Valley's Harmony Borax Works to install mining operations at a borax came called Borate, which was located about three miles east of Calico. This operation required many laborers to come and help, it was reported that Pacific Coast Borax Company employed nearly 200 men. At first, the borax was hauled by the 20 Mule Team, but Smith sought to replace the mules with more cheaper, efficient means of transportation. 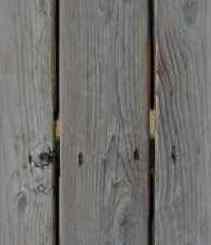 The narrow-gauge Borate and Daggett Railroad was built in 1896 to take the duty of borax hauling from the mules. Daggett became quite a big city in the 1890s, boasting to have three stores, two restaurants, three saloons, three hotels, a lumberyard, and even a Chinese eating place. 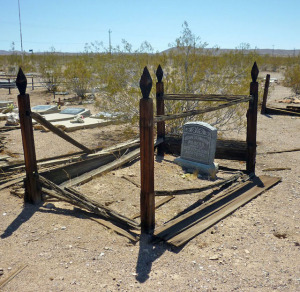 But after 1911, when richer borax deposits were discovered north of Daggett in Death Valley at the Lila C. Mines, all the mining operations were moved up there which caused Daggett to go into a steady decline, which continues even to this day. 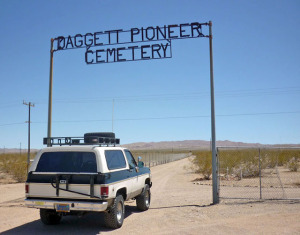 The Daggett Pioneer Cemetery contains graves dating back to the early 1900s. 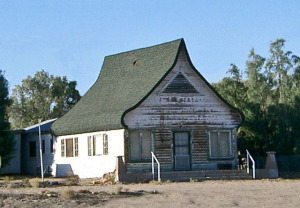 The 1940 movie The Grapes of Wrath used the Daggett as a filming location.